Looking back on it today, John Waters’ Serial Mom was easy to take for granted when it was originally released back in 1994. For many folks looking in from the outside, there might not have been much that was special about it without closer inspection. Perhaps that’s why the movie didn’t do well at the box office during its initial theatrical run. The satire of it didn’t seem to land well with many critics either. It tells the story of Beverly Sutphin, a Leave it to Beaver-type mother on the surface with a normal, loving family, but underneath, a murderous, scheming woman is lurking who will do anything to protect her children... or simply bump off anyone who displeases her. One thing’s for sure, when you’re around her, don’t wear white after labor day and don’t forget to wear your seat belt. It’s clear how much fun John Waters and Co. were having while making the movie. Kathleen Turner seems to be having the time of her life, playing her character up to the hilt with about as much subtlety as a blow to the head via a leg of lamb. Beverly’s willingness to slay people for the most petty of grievances, while maintaining her innocent facade, is really what makes the movie tick. Other performances are also notable, including those from Sam Waterston, Matthew Lillard, and Ricki Lake. Serial Mom is a happy marriage between John Waters being given a considerable budget with a cast and crew from his previous repertoire mixed with some famous faces for mainstream appeal. It didn’t fully work at the outset, but it has managed to grow a cult following since. Now considered by many, including John Waters himself, to be his best movie, it’s also his most accessible film outside of Hairspray. Scream Factory presents Serial Mom on its second U.S. Blu-ray outing with a transfer that’s not much different than the previous one. It manages to capture excellent textures with decent grain levels, but fine detail is a little lacking in places, though not all. The color palette is strong with bold hues and mostly natural skin tones while black levels are inky deep. Brightness and contrast levels are excellent as well. Some occasional softness is apparent, but overall, it’s a clean and relatively strong presentation. The only real thing of note is that around the 00:15:16 mark, a section of the movie is misframed. However, it lasts for less than a second of screen time, or to be more precise, a mere 11 frames. To me, this isn’t that big of a deal as it will likely be easily missed by most viewers, but you be the judge. 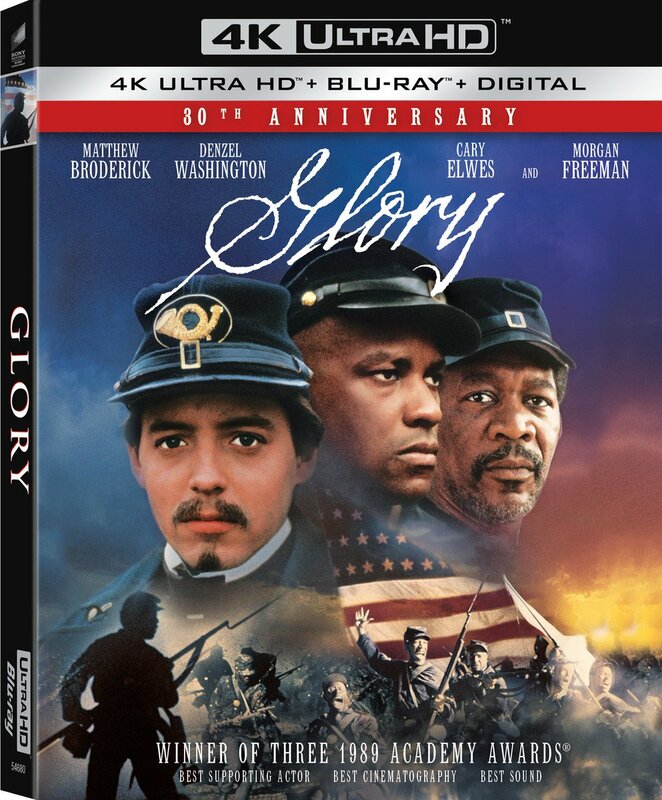 For the audio selection, two soundtracks are included: English 5.1 and 2.0 DTS-HD. The 5.1 opens things up slightly in the rear speakers to make room for ambient activity and other sound effects, not to mention score. Otherwise, most of it is a front-heavy presentation with clean dialogue. Occasional LFE activity is also present. Both are solid listening experiences, so your enjoyment will depend on your own personal preference, or your home setup. Subtitles are also included English if needed. Scream Factory have also managed to cart over all of the movie’s previous extras, and include a new one as well. 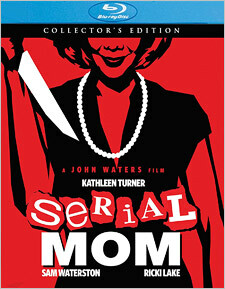 There are two audio commentaries, one with John Waters and Kathleen Turner, and the other with John Waters flying solo; the new Serial Mom: In Conversation, which contains a round-table interview with John Waters, Kathleen Turner, and Mink Stole; The Making of Serial Mom promotional featurette; the Serial Mom: Surreal Moments featurette; The Kings of Gore: Herschel Gordon Lewis and David Friedman featurette; and the movie’s original theatrical trailer. One of John Waters’ more affable movies, Serial Mom will probably find some new fans thanks to Scream Factory’s new Collector’s Edition, which sports a nice transfer with good extras. It’s a fine package overall and is recommended, especially if you’re a long-time fan.